The Federal Energy Regulatory Commission (“FERC” or “Commission”) issued a final rule on November 22, 2013 addressing the construction of auxiliary installations, as defined under section 2.55(a) of the Commission’s regulations (18 C.F.R. § 2.55(a)). The Commission clarified that auxiliary installations must be constructed within an authorized right-of-way or facility site in order to qualify for construction without the need for a Natural Gas Act (“NGA”) Section 7(c) or blanket certificate. The final rule grandfathers (with some exceptions) existing auxiliary installations that have been constructed outside the right-of-way or facility site without authorization, and implements new landowner notification rules for the future construction of such facilities and for certain maintenance activities. The NGA requires that a natural gas company obtain certificate authorization for the “construction or extension of any facilities.” Section 2.55 of the Commission’s regulations specify that the word “facilities” as used in Section 7(c) of the NGA “shall be interpreted to exclude” auxiliary installations and replacement facilities. Thus, the Commission’s regulations allow certain facilities to be constructed without being subject to either the Commission’s blanket or case-specific certificate requirements. On April 2, 2012, the Interstate Natural Gas Association of America (“INGAA”), later supported by other interstate natural gas pipelines, filed a petition with the Commission requesting specific clarification regarding the construction of “auxiliary installations” under section 2.55(a). INGAA requested that the Commission confirm what INGAA believed to be the historical interpretation of the Commission, namely, that companies constructing section 2.55(a) auxiliary installations were not required to stay within the right-of-way or facility site and were not restricted to previously used work spaces. The Commission issued a Notice of Proposed Rulemaking (“NOPR”) on December 20, 2012, proposing to revise its regulations to clarify that, as with replacement projects under section 2.55(b), all auxiliary installations were required to be installed within a company’s authorized right-of-way or facility site and use only previously approved workspaces. In addition, the Commission proposed to add a 10-day landowner notification requirement for section 2.55 auxiliary installations and replacement facilities, as well as for any jurisdictional activities undertaken to meet the siting and maintenance requirements of section 380.15. INGAA and several pipelines filed comments objecting to the proposal that auxiliary installations must be located within the previously authorized areas for the existing facilities and opposing the landowner notification requirements. The Commission emphasized its environmental review responsibilities as a reason for ensuring that all section 2.55 facilities remain within the authorized right-of-way or temporary work space location. The Commission grandfathered facilities “purportedly installed pursuant to section 2.55(a) prior to the effective date of the final rule, provided such facilities comply with all other applicable federal, state, and local rules and regulations.” It added the caveat that if the Commission became aware of facilities built under this section “which are the cause of any significant adverse environmental impact,” it might require that such facilities obtain blanket or case-specific authorization. The Commission added a 5-day notification to landowners whose property is crossed or used for any section 2.55 activities involving ground disturbance. This was a reduction from the 10 days proposed in the NOPR. The Commission added the same landowner notification requirements for maintenance activities under Section 380.15 that require ground disturbance. The Commission revised Appendix A to Part 2 (“Guidance for Determining the Acceptable Construction for Replacements”) to include auxiliary installations. Previously, Appendix A explicitly restricted construction of only section 2.55(b) replacement facilities to existing rights-of-way. The revised Appendix A applies the same right-of-way restrictions to both auxiliary installations and replacement facilities. Many natural gas companies have relied on the industry interpretation supported by INGAA that auxiliary installations could be installed outside of a right-of-way without prior Commission authorization subject, however, to other Federal, state or local permitting requirements. The effect of this rule may be significant as pipelines enter into new construction activities to rebuild aging infrastructure and to comply with pipeline safety requirements. Among other things, pipeline companies will be required to ascertain right-of-way parameters for facilities constructed over two decades ago. The final rule does not become effective until 60 days after publication in the Federal Register. 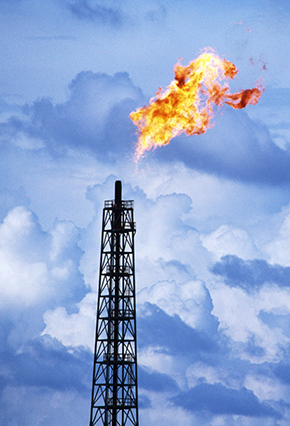 Van Ness Feldman’s nationally recognized Natural Gas and LNG Practice is experienced in addressing complex legal and federal policy questions that often arise in the development of natural gas projects. For additional information, please contact any member of the firm’s Natural Gas practice group at (202) 298-1800.